Sony Cybershot Data Recovery-How to Recover Photos from Sony Cybershot Camera? * More photo loss scenarios like this. No matter how you lost your photos from the Sony Cybershot camera, the first thing you need to do is keeping your camera safe and not be used to capture new photos or videos, if you still want to recover photos from Sony Cybershot camera. 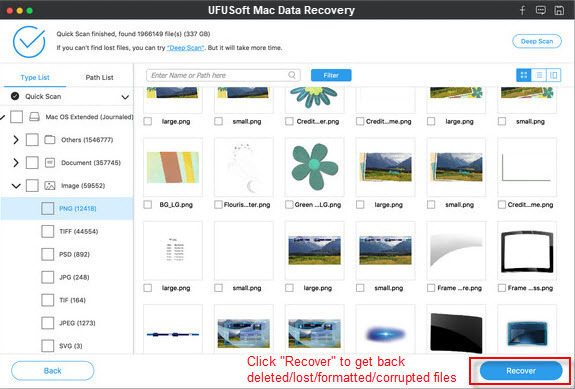 Capturing new photos/videos will overwrite your lost photos and make them unrecoverable. This is very important. Next, find a smart Sony Cybershot photo recovery software and begin to recover lost photos ASAP. 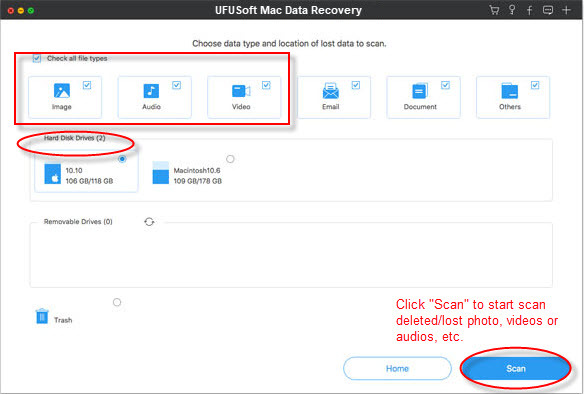 If you haven’t found one yet, you can have my recommendation here: Photo Recovery for Sony Cybershot camera (compatible with Windows 10/8.1/8/7/Vista/XP) from UFUSoft, or Sony Cybershot camera data Recovery for Mac (compatible with Mac OS X 10.12, 10.11, 10.10, 10.9, 10.8(Mountain Lion), 10.7, 10.6, or 10.5). This software can help you recover Sony Cybershot photos in 3 steps, no matter you deleted, formatted or lost them due to other reasons. Download the free trial version of Sony Cybershot camera photo recovery software below now. First of all, connect your camera to the computer where you’ve installed the recovery program, then run the software and click “Start” in the primary window to begin Sony Cybershot photo recovery. Select your camera (displayed as a drive letter here) and click “Scan” to search lost photos from it. This software enables you to find lost photos, video and audio files. If you only want to recover photos, you can refine the scan result by using the “Filter Option”. When the scan completes, you can preview the photo one by one, to check the quality. Mark those you want and click “Recover”. You can save them all on your computer with one click. Note: Don’t save the recovered data on your Sony Cybershot camera or the memory card again. Find another place for it like on your computer or other external disk, for safety’s sake. | Comments Off on Sony Cybershot Data Recovery-How to Recover Photos from Sony Cybershot Camera?